I have always hated exercise, preferring to snuggle in with a book instead when time permits, not running laps or pushing weights. But I have just joined a gym and signed up with a personal trainer, partly because I know I have to pull, or force really, myself out of a sedentary life and partly because my husband became a gym freak himself and has been nagging me ever since. I have been to the gym every weekday for the past two weeks and I am surprised that I am enjoying it quite a bit. 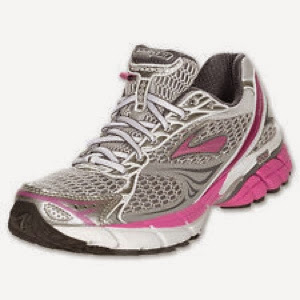 I just bought a pair of Brooks running shoes today. Can't wait to try it out tomorrow.